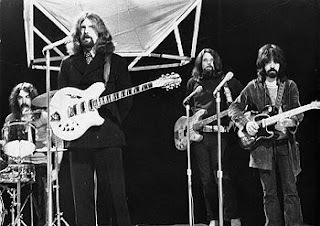 The Byrds were an influential American rock band who in the 60s were pioneers in the genre of folk-rock, and later both psychedelic rock and country-rock. Between 1996 and 2000 all of The Byrds' original studio albums were re-issued, and with each one (with the exception of the reunion album) came a selection of bonus tracks. When the most interesting of these are collected together, they make for an excellent thirty-four song compilation from across the band's career, featuring all the different lineups. Three of these songs were b-sides (incuding the original version of "Why" which is far superior to the later one found on Younger Than Yesterday), and two were non-album singles (a cover of Bob Dylan's "Lay Lady Lay", and David Crosby's "Lady Friend", which did not chart at all much to its author's chagrin). The rest of the compilation is made up of outtakes and alternative takes of familiar songs (I have only included the alternative takes which are sufficiently different from the released versions). There are many highlights... An early aborted attempt at Dylan's "It's All Over Now, Baby Blue"... Crosby's hypnotic "Triad", which the band felt too risque in subject matter to release (he instead gave it to Jefferson Airplane)... Gram Parson's "Lazy Days", which he later re-did with The Flying Burrito Brothers... "Mae Jean Goes To Hollywood", written by a then-unknown Jackson Browne... A cover of Little Feat's "Willin'", sung by Gene Parsons (he later did this song again on his first solo album)... A cover of Gene Clark's "Think I'm Gonna Feel Better", sung by Clarence White... Two songs that shortly after the band's breakup were re-done for Roger McGuinn's solo album... And many more! What a great collection. Thanks for taking the time. Looks like a nice compilation but I am having trouble figuring out how to download with zshare. Maybe it is not available anymore? Or am I just doing it wrong. Any help would be appreciated.